There have been 17 1 bedroom units sold in this building in the last 12 months. The last unit in this building sold on 2/14/2019. Click here to get the details of all closings in the last 12 months. Don't miss your chance to own this 1 bedroom, 1 bath condo in the beautiful, Avista Resort. This unit features a full kitchen equipped with all appliances, a living area with a murphy bed for an added sleeping space, and separate bedroom featuring 2 full beds and spacious closet. Washer/dryer also included in unit for added convenience. Enjoy the miles and miles of ocean views from your 11th floor balcony! Avista Ocean Resort offers the best amenities, including indoor/outdoor pools and lazy river, hot tub, kiddie pool, exercise facilities, and more! 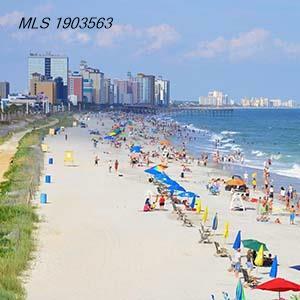 Perfectly situated in the heart of Myrtle Beach near all of the Grand Strand's finest dining, shopping, golf, and entertainment attractions. Whether you are looking for your vacation get away or your next investment opportunity, you won't want to miss this! Schedule your showing today!